If you're reading this from the United States, chances are that you will have the opportunity to cast your vote in the presidential election on Nov. 8. For many Americans, the idea of voting conjures up an image of citizens lining up at their local polling places, often fire stations and public schools, to cast their votes at the ballot machines. This process can include arrival at the wrong polling location, confusion, momentary panic, and relief when you arrive at the correct polling place. But in three states, this isn't the way voting is done, and it isn't even the way some people do it: Voting is done entirely by mail. Why do some states vote by mail only? 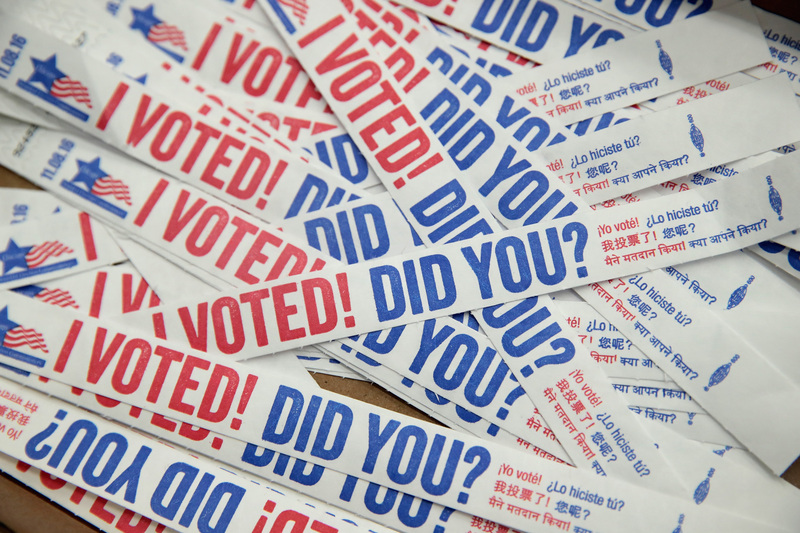 The three states that conduct voting exclusively with mail-in ballots are located in the western United States: Colorado, Oregon, and Washington. While Oregonians instituted all-mail voting in 1998, Washington made it official in 2011, and Colorado was the latest to make the change, in 2013. That means this will be the first election year in which all Colorado voters cast their vote for president by mail. In 2011, Washington's new law didn't create much change. In 2005, the state passed a law allowing counties to choose whether their residents would vote by mail or in person, and in the years that followed, every county but one submitted all their ballots in an envelope. The 2011 bill assured that every resident, even those in the somewhat rogue Pierce County, would mail in their ballots. But the county auditor said 89 percent of residents had already been going postal with their votes, so the shift caused barely any stir. According to the Washington secretary of state, voting by mail allows voters more time to consider their decisions and carefully study the issues at hand in an election. In addition, mail-in ballots are convenient — the Oregon secretary of state website calls the state's system "the most convenient voting system in the country." Perhaps as a result of the increased convenience and time for consideration, Oregon credits its all-mail system with a high voter turnout. Studies show that, especially when coupled with reminder communications, mail voting systems correlate with high turnout. In Washington, 61 percent of residents voted in 2012 in the general election, which was several points higher than the national average turnout. In Colorado, 66.6 percent of residents voted in 2012, a high rate even before the state instituted all-mail voting, and 62.4 percent of Washington residents voted in the 2012 race. Though mail-only voting may seem unconventional, the three states that have implemented it so far are among those with the highest rates of voter turnout. Since Colorado has not yet experienced a general election year as a mail-only state, only time will tell whether its turnout rate will remain steady, rise, or perhaps even fall. What's sure is that mail-only voting really works, just as well as — or maybe even better than — "normal" voting.